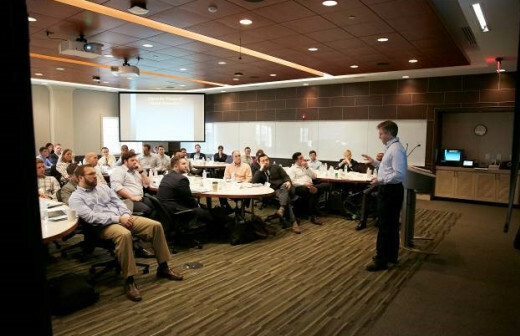 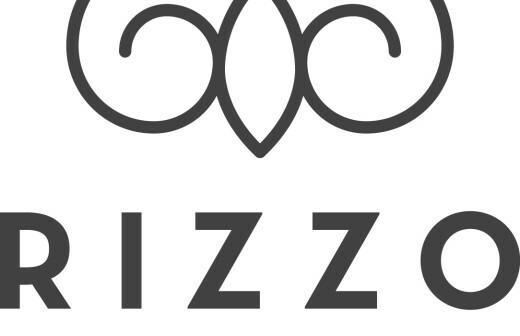 In Durham County, The Rizzo Center is a dynamic retreat for executive education owned by the University of North Carolina's Kenan-Flagler Business School. 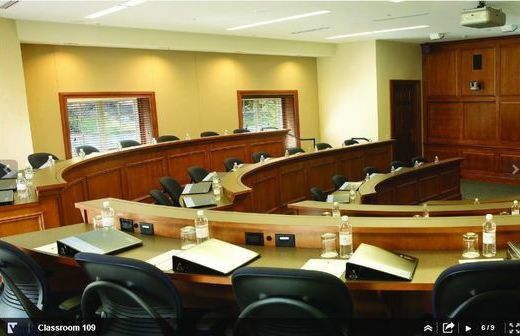 This conference center and hotel is just minutes from the Duke and UNC campuses, downtown Chapel Hill and Downtown Durham, and Research Triangle Park. 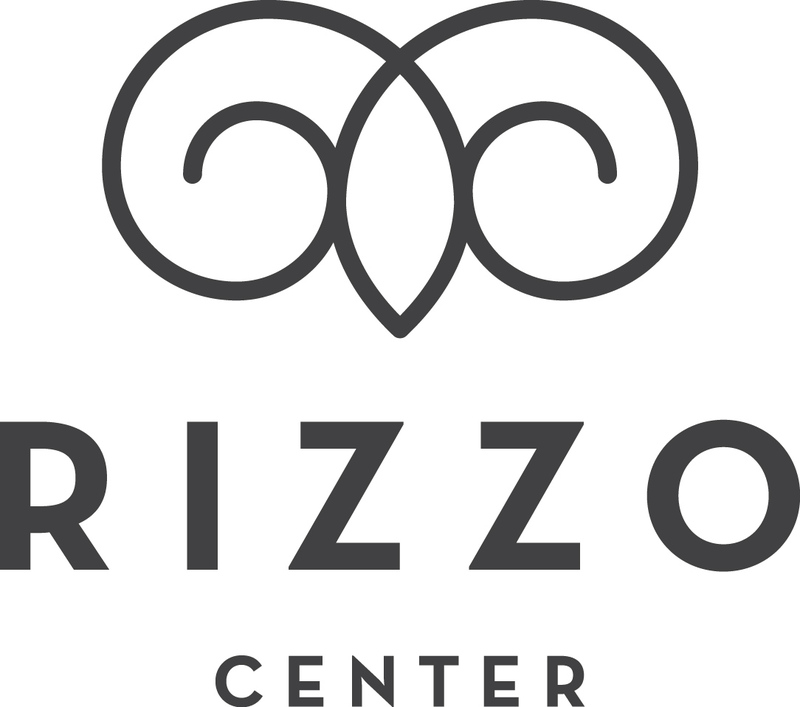 With a total of 33,000 square feet of meeting, reception and breakout space, the Rizzo Center combines sophisticated meetings with a serene setting, integrated instructional technology, and memorable Southern hospitality. 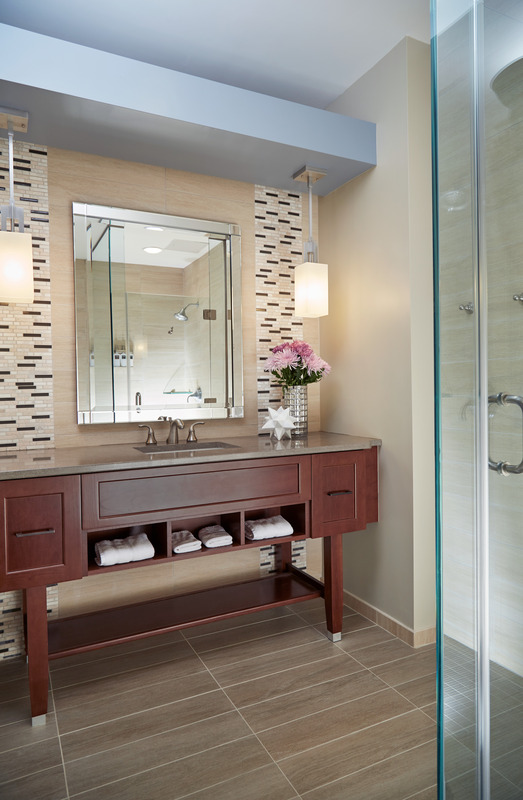 The entire facility was designed with the business traveler in mind. 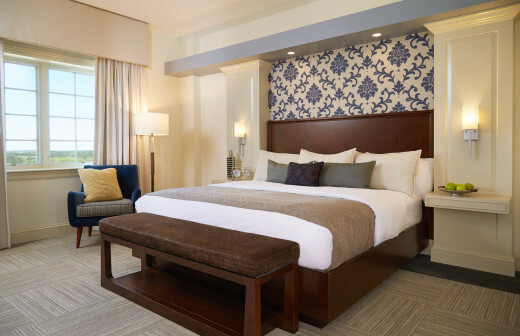 All guestrooms include upgraded bedding, flat-screen television with laptop connectivity, an electronic safe, and a relaxing study area. 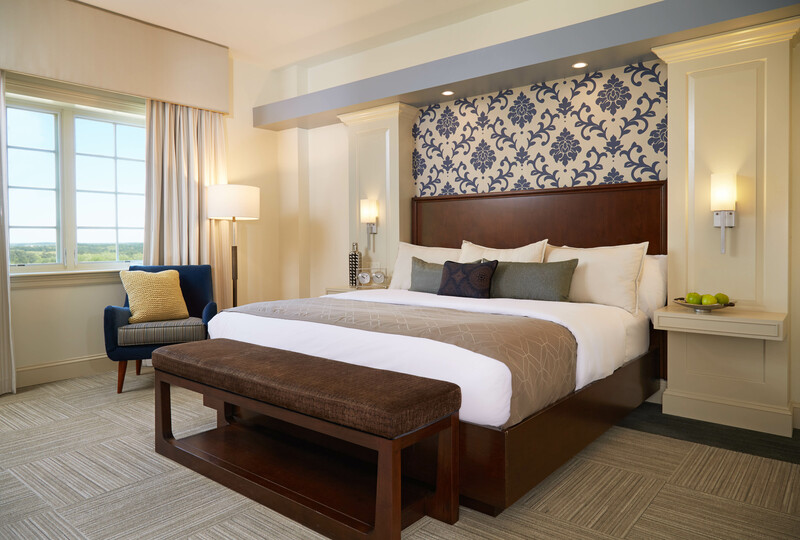 Facility guests have access to a fully equipped fitness center, onsite bicycle rentals, walking and running trails, formal gardens, a sports bar, and more! 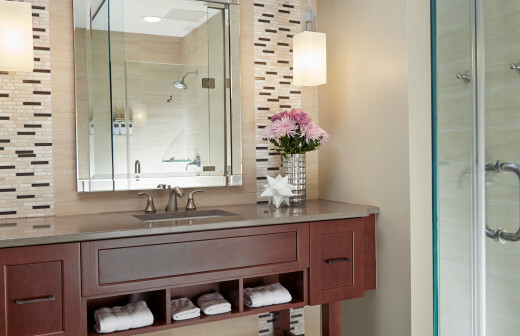 Complimentary amenities also include WiFi, parking, breakfast, a self-service business center, access to study rooms with computer and printer (based upon availability), local calls, guest laundry, shuttle service (within five miles, upon availability) and a guest pantry with snacks, soft beverages, and frozen treats.